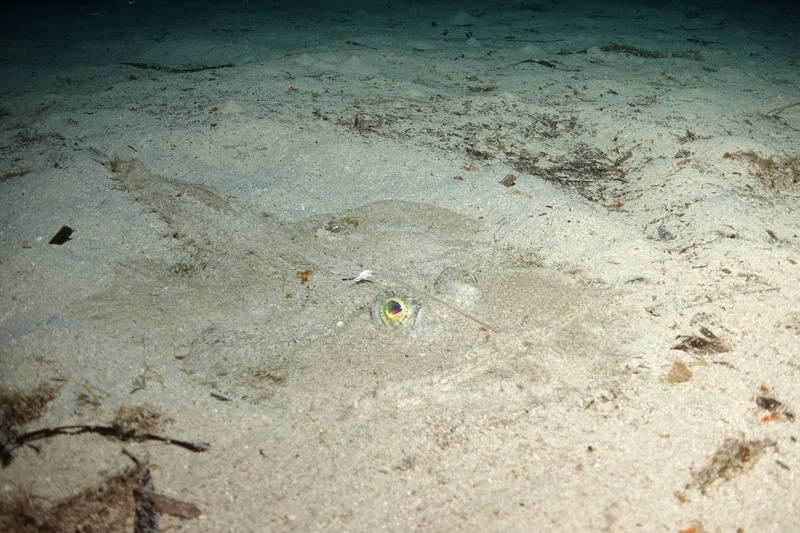 This was an interesting sighting: a monkfish (Lophius piscatorius) near the Rozi. I almost swam over it but the regular semicircle of the mouth gave it away. So neat—you can see its lure and the body tassels! This work is licensed under a Creative Commons Attribution-ShareAlike 4.0 International License. Please attribute Kristaps, the photographer, with a link to kristaps.bsd.lv/photo0071.html.